MS Dhoni Biography, Life story, career and achievements in his life. MS Dhoni – Lifestory, Career and Achievements. M. S. Dhoni also known as Mahendra Singh Dhoni is an International cricketer from India and also did captaincy for Indian cricket team from 2007 to 2016 for both One-day matches as well as Test matches. MS Dhoni is a right handed middle order batsmen in the team and also a famous wicket keeper in the cricket world. Born Place Ranchi, Jharkhand, India. MSDhoni started his cricket carrier and got a turning point of excellent performance in Tri-nation tournament. He scored 360 runs in 6 first class matches with the 72.40 average. He elected to the international cricket team with One-day International Match on 23 December 2004 with Bangladesh team and debuted to Test matches 2 December 2005 in Chennai against Srilanka Cricket Team. The favorite shot of dhoni is Paddle sweep and Helicopter shot. In December 2006 he debuted to Twenty overs matches against South Africa team. 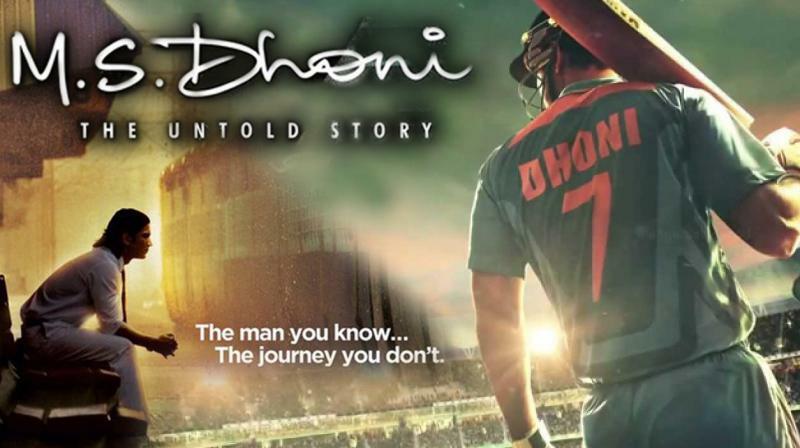 Recently, Director Neeraj Pandey had written and directed a movie on MSD with the Name of M. S. Dhoni: The Untold Story. Bollywood Actor Sushanth Singh Rajput acted for the Dhoni role and also acted many famous stars. MS is also the Captain for Chennai Super Kings in Indian Premier League 2018. (IPL-2018). Click on the link to get the Full IPL 2018 schedule details. In 3 formats of cricket, Indian team has won major tournaments. In 2011 won the Cricket World cup, In 2013 won the champions trophy and also won first T20 World cup in 2007. His Batting position at No. 7 and he achieved most century record in that position. As a captain, he hit most sixes as a captain. In the international cricket matches, he done most no.of stumpings. He did 183 runs against Sri Lanka, which is the highest score for any wicket keeper. Dhoni won Most T20 international cricket matches as a captain. He is the first Indian cricketer to score 4000 runs in the Test matches. First wicket keeper batsmen on playing 50+ Matches in 3 Formats of cricket. Dhoni is the first Indian captain to won a test series in newzealand country. MS is from Rajput Family caste. KR Benerjee sas while Dhoni doing a Goal keeper for Foot ball match in 1993 and gave suggestions him to learn cricket wicket keeping. In his first debut match, Dhoni was duck out against Bangladesh. Sourav Ganguly come and gave advise to live in Kolkata, but dhoni went back to Bihar and started a National Cricket Academy. While he was trying to get a place for India team, he fall in love with Priyanka but after few months she was died in an accident.